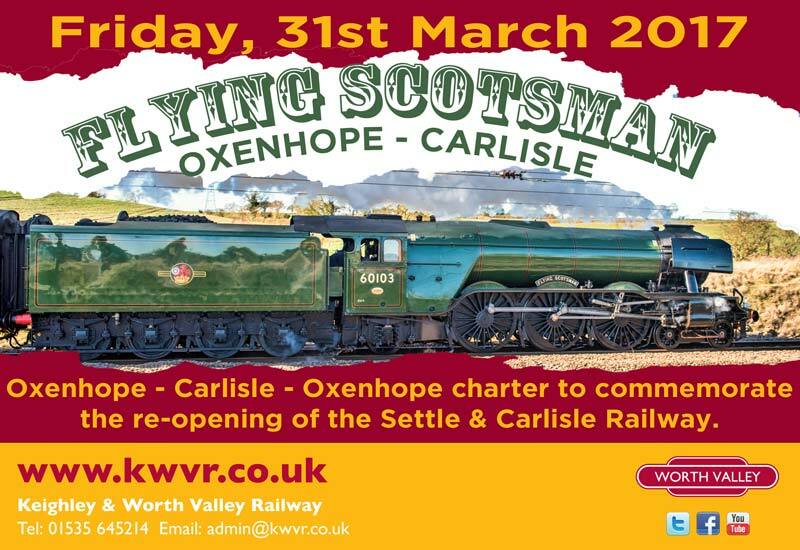 The Keighley & Worth Valley Railway is delighted to announce the running of a commemorative railtour from Oxenhope to Carlisle behind LNER Pacific 60103 (4472) ‘Flying Scotsman’, in conjunction with Northern, Network Rail and Friends of the Settle & Carlisle. The train, which will be operated by West Coast Railways, will form part of the re-opening celebrations of the Settle & Carlisle line which is scheduled to re-open on this day. Tickets will sell fast, so don’t delay once the tickets go on sale on Friday 13th January, 18.00. And on what date will this train run? 31st March. Although not in the text, the date is on the top of the image accompanying the article.